Hi Everyone! 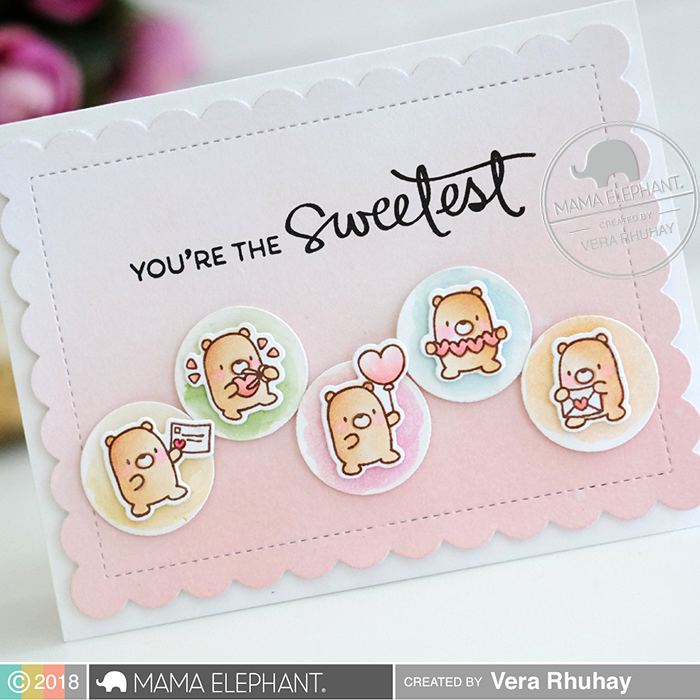 It's Vera and I'm happy to be here sharing a card today that features the Little Bear Agenda and Inside Pop - Box of Fun - Creative Cuts. 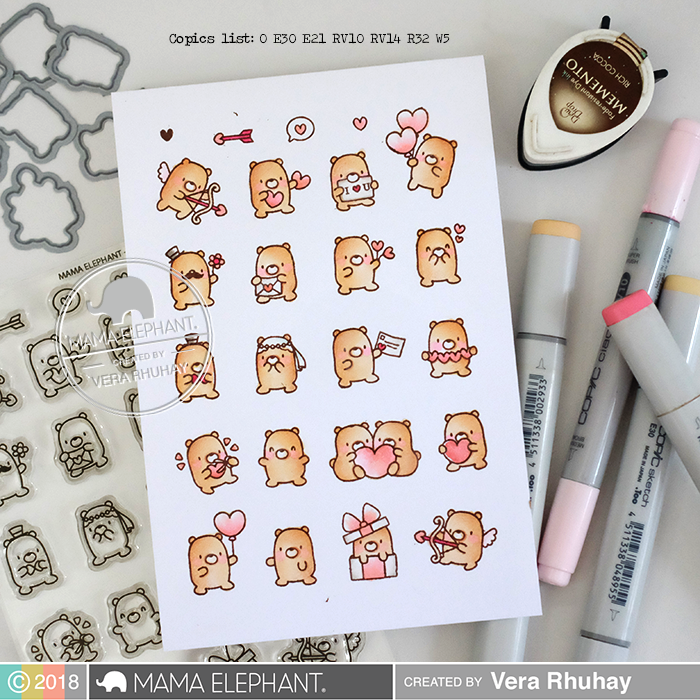 I started by stamping the Little Bear Agenda on Bristol paper, colored with Copics marker and die cutting them all with their coordinating dies - Little Bear Agenda - Creative Cuts. 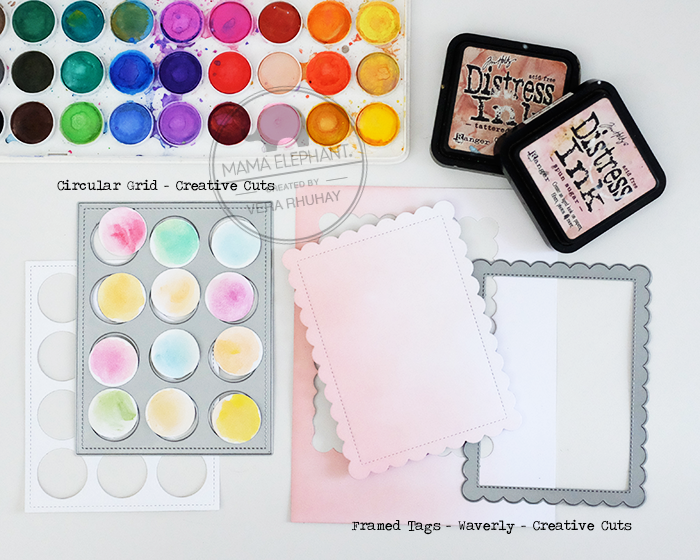 The front of the card was created by die cutting the big scallop frame from Framed Tags - Waverly - Creative Cuts on white cardstock and inked with Distress Inks. I painted the circles cut from the Circular Grid - Creative cuts with watercolor pan set. Then I placed the Little Bear Agenda on it with foam tape. All supplies that I used are shown in this picture below. Here is the front of my card with the sentiment "you are the sweetest" from Sweetest Greeting set. And when you open up the card - pop up surprise of little bears ?? That's it for today. I hope you enjoyed my card!
. . . . . . . . . . . . . . . . . . . mama elephant supplies . . . . . . . . . . . . . . . . . . . So precious. I love these little bears. 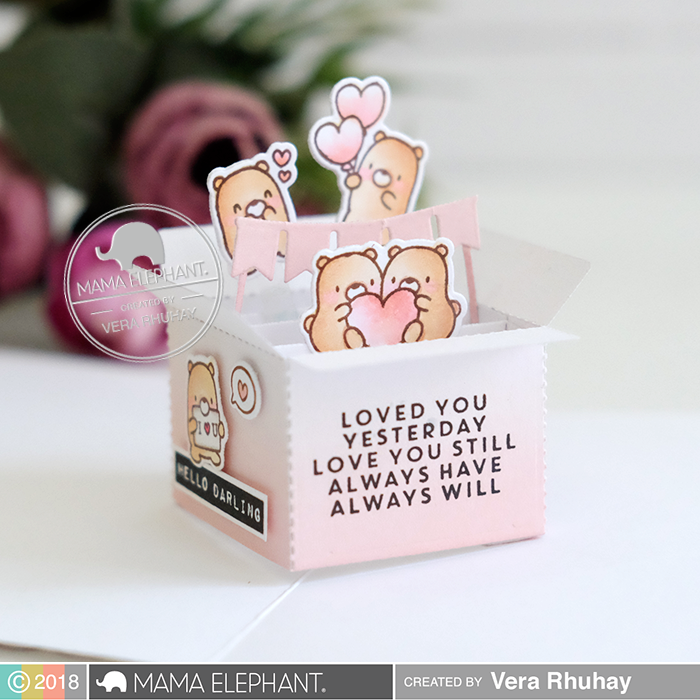 Is the saying on the little pop up box one you created yourself? It’s perfect. Love it. Thanks. Take care. I always love the fun little images. They are so much fun to work with and these look so cute. 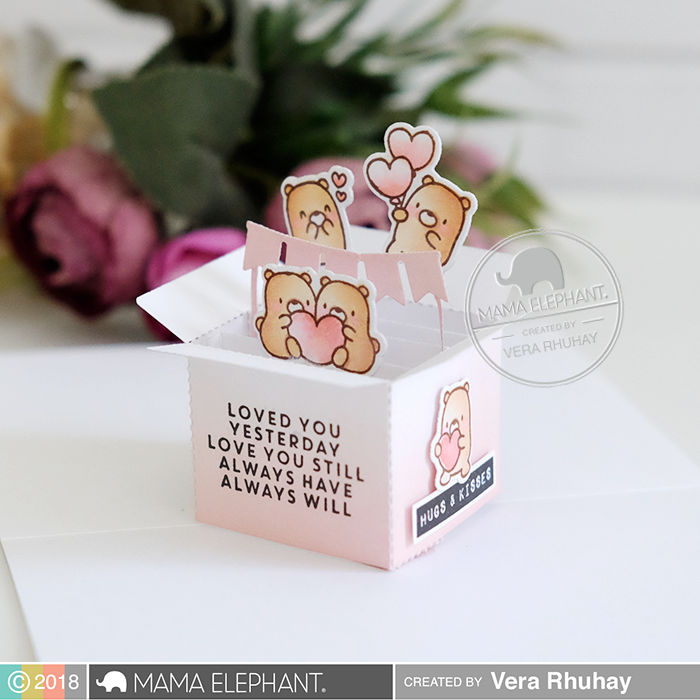 Great pop up box and cards. I love how you showcased these sweet products with fun creation!